Balancing daily responsibilities such as work, family or education with our desire to fulfill athletic ambitions is a fine balance. Modern lifestyles can be stressful. It is easy to get caught off-guard by an unexpected stressor and precariously close to feeling fatigued and over-reached, resulting in injury. I know I’ve been there, done that and bought the t-shirt a few times. In this article, we welcome back Hanny Allston, running coach and a former world orienteering champion, who takes a more scientific look to explain the stress response that occurs in these situations, and identifies whether chronic or long-term stress increases our risk of injury. Stress is defined as the body’s reaction to a change in our normal, steady state that requires a physical, mental or emotional adjustment or response. Stress can also be a condition of the mind-body interaction, and the sum total of all mental and physical inputs over a given period of time [1, 2]. There are many different forms of stress that athletes are placed under. Short-term stressors such as hard training sessions, competitions or busy workloads are normal and our body can adjust to these responses relatively easily. You’d want to be fighting (or maybe flying too!) in this situation! However, many runners chronically overload their bodies with heavy or high-volume training and continual complex lifestyles. Controlling our response to acute or chronic stress is the brain. It differentiates between the different types of stressors, determines the behavioural and physiological responses, and whether the response will be health-promoting or health-damaging . The stress response is often referred to as the flight-or-fight response. This can lead to inadequate recovery from training and competitions with an increasing feeling of being ‘stressed out’. Simultaneously, hormone regulation patterns in the body can become disrupted resulting in increased cortisol and decreased DHEA levels. Cortisol has long been the marker for monitoring stress . When exposure to stress is sustained, cortisol levels remain elevated and a build-up of the hormone can be seen in the bloodstream and hairstrands. More recently, blood DHEA levels have also become a marker of stress levels. Increased cortisol levels in runners can for example: prevent the storage of glycogen in the liver and muscles; increase the breakdown of remaining body glycogen stores through glycogenolysis; increase the rate of protein breakdown leading the muscle wasting; affect the circadian rhythm sleep cycles; increase urination rates causing dehydration; and decrease bone formation. Decreased DHEA in runners can result in: rapid breakdown of protein stores; an impaired ability to deposit calcium in the bones; a loss of adipose or fat tissue around the vital organs; suppression of the immune system; and generalized fatigue. So when the body is continually trying to respond to chronic stressors, the runner is at an elevated risk of muscle wasting, bone degradation, weight loss, disrupted sleep and immune suppression. It is well documented that a body in this state will inadequately repair existing injuries. However, little is understood about how this corresponds to elevated injury risks. The link between stress and pain is well described in the scientific literature. For example, a study conducted by Melamed  showed that musculoskeletal pain is unusually high in the working population and in situations where there is no obvious cause of this pain, there is often a direct link to feelings of being chronically ‘stressed out’. The study conducted on otherwise healthy, non-athletic individuals concluded that chronic exposure to stress may lead to burnout. They concluded that burnout and stress appear to be a risk factor for unexplainable musculoskeletal pain. It becomes more difficult to identify causes of pain and injuries in athletes who have many concurrent risk factors through continual demands on their bodies and minds. There are many researchers who have tried to identify and quantify the links between stress and sports injuries [9-11]. Most of the research that has been conducted into the relationship between stress and sports injuries has looked at how stress slows the healing response and not whether it can actually cause injuries. Some of the research that has been conducted in this field of study has occurred within Australia. Researchers at the Queensland Academy of Sport completed a study in the psychological predictors of injury. Looking at health screenings of over 800 athletes ranging from 11 to 41 years of age, their results illustrated the huge scale of sports injuries prevalent amongst Australian athletes with no apparent cause. Through their research they found substantial links to athletes’ suppressed mood or elevated psychological tension and their injury and illness characteristics. Another study conducted back in 2003 looked at endurance athletes and the physiological changes that occur when they are exposed to prolonged physical stress over several months of the competition period . They too concluded that elevated cortisol levels detected in the hair and bloodstream pointed towards an increased risk of the development and progression of both somatic and mental illnesses. Cumulative pressures and a high allostatic load are inevitable in most high level sports. It is reasonable to assume that the capacity to respond appropriately to acute, super-imposed physical and psychological stressors that add to the training and competition load will be limited in runners. With research pointing towards a link between stress and injuries, monitoring runners’ levels of physical and psychological expenditure would appear to be critical. As psychological stressor effects are mediated through the same pathways as physical stressors, runners subjected to recent stressful life events have a higher cumulative allostatic load and an even more diminished threshold for mounting situational-appropriate ‘emergency’ responses. School, employment, transportation, social and emotional pressures must be taken into account when planning our training blocks. Further to this, the problem that many coaches and runners face is that the boundaries between normal daily tensions, acute stress and chronic stress are difficult to distinguish. Acute physical exercise, a potent physical stressor, activates the release of cortisol from the adrenal glands and in turn, the normal stress response. When adequate recovery is allowed to follow bouts of physical activity, the runners’s hormonal levels, including their cortisol levels, should return to normal. This would mean that the runner returns to feeling calm with clear thoughts, normal appetite, insignificant muscle soreness and an ordinary sleep pattern. A runner in this situation should be able to cope with a slow, aggregated and periodised training program. Prolonged aerobic exercise and endurance training induces the stress response pathway to release abundant cortisol, and there is a linear relationship between training volume and cortisol levels [13, 14]. Therefore, as a runner’s training mileage and intensity increases, cortisol levels can increase indicating an amplified stress response. This puts the runner at greater risk of injury and a constant state of arousal. 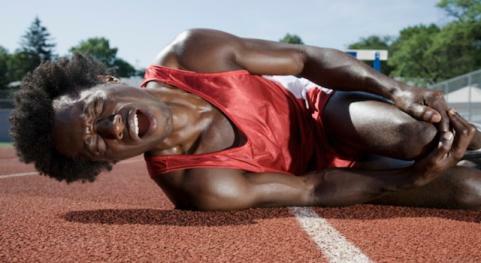 The runner’s ability to recover from training would begin to diminish and performance would be affected. Evidence indicates that in severe circumstances, increased cortisol levels may predispose distance runners to a number of diseases including immune suppression, metabolic syndrome, diabetes, depression, acute myocardial infarction and upper respiratory tract infections [6, 14]. Indicators of a disruption to the normal stress response in runners would be: disturbed sleep patterns; continual musculoskeletal aches or pains; a loss of appetite and gastrointestinal troubles; weight loss and muscle dystrophy; restlessness and irritability; decreased bone density measures; and an inability to concentrate on mental tasks. This combination of factors is often described as athlete burnout. Often overlooked, rest is a critical component to any training program. There are two forms of rest, active and complete cessation of physical activity. Gentle forms of exercise such as easy jogging or cross-training can be a great way for runners to unwind whilst still completing mileage. However, without adequate sleep, nutrition and time away from the running shoes, runners will put themselves at risk of chronically overreaching. The most at-risk runners are those that are self-coached. As a self-coached runner, it becomes hard to look in from the outside at yourself and your training, and to see when the normal has shifted towards abnormal. It becomes difficult to distinguish between natural fatigue and feelings of stress, and those that are atypical. A coach can be the person to assist you to avoid overloading by keeping your sport and life in perspective. Nevertheless, at some stage all runners will find themselves in an over-reaching phase of training or intense competition. 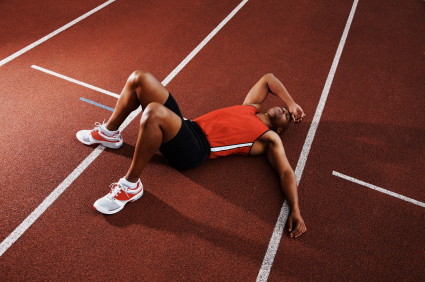 During these times, runners are particularly vulnerable to allostatic loading and burnout. Ideally, when runners are faced with times of increased mental demands, such as university exams, or a busy period of work and family life, the training load will be decreased to compensate. As coach Max Cherry used to say, ‘when we are in a state if physical rest, the conscious and subconscious activities of the brain use 90% of the body’s energy’. Whether scientifically true or not, the concept is relevant. For elite runners, the potential to eliminate physical stressors is limited so a potential avenue for decreasing allostatic load is to control or eliminate unnecessary psychological stressors [9, 10]. There are many psychological interventions utilized in sport. Notably, sports psychology has taken on an important role in preventing injury, illness and burnout. Psychologists introduce athletes to techniques such as breathing control, muscular relaxation, imagery, self-talk and cognitive reprograming. Using training planners to indicate when high-intensity activities are going to occur, will help to stave off chronically elevated stress levels. Further to this, integrating psychology and other remedial disciplines such as massage, chiropractics and physiotherapy into the training program can also help runners to ensure that rest is actively incorporated into their weekly routines. 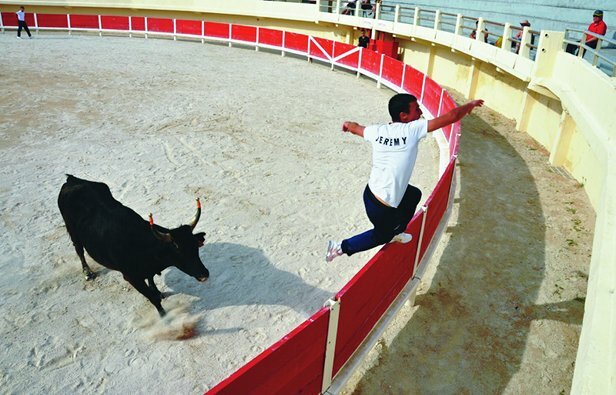 Away from the training arena, there are many services offered to assist in alleviating stress. Vitamin D deficiency is now strongly linked to stress and illness, so finding time in the middle of the day for a walk, jog or lunch in the sunshine could be beneficial. Studies have shown that commuter behavior can also be a huge stress-producer so finding alternative options such as cycling or walking to your required destination could help to prevent stressful situations. The nature of sport and its association with high-achievers places participants at increased risk of injury and illness. In runners, stress is a huge risk factor for athletic injuries due to its disruption to the normal hormonal and nervous system responses that normally have a preventative action during training and competitions. Runners with a high allostatic load, caused by increasing physical and psychological pressures with no associated rest, are at the highest risk of causing chronic, physical changes to the body and its systems. Monitoring the stress load and compensating with moderations to the training program will help runners to stay healthy and injury free. 1. Melamed, S., Burnout and risk of regional musculoskeletal pain—a prospective study of apparently healthy employed adults. Stress and Health, 2009. 25(4): p. 313-321. 2. McEwen, B.S., Protective and damaging effects of stress mediators: central role of the brain. Dialogues in clinical neuroscience, 2006. 8(4): p. 367. 3. Cannon, W.B., The mechanism of emotional disturbance of bodily functions. New England Journal of Medicine, 1928. 198(17): p. 877-884. 4. McCarty, R., Fight-or-flight response. Encyclopedia of stress, 2000. 2: p. 143-145. 5. Korte, S.M., et al., The Darwinian concept of stress: benefits of allostasis and costs of allostatic load and the trade-offs in health and disease. Neuroscience & Biobehavioral Reviews, 2005. 29(1): p. 3-38. 6. Skoluda, N., et al., Elevated hair cortisol concentrations in endurance athletes. Psychoneuroendocrinology, 2011. 7. Tanska, K. Muscle DHEA: The Mother Hormone. Muscle News 2012 [cited 2012 6 August ]; Available from: http://www.australianmuscle.com.au/muscle_news/dhea.htm. 8. Thompson, R.S., P.V. Strong, and M. Fleshner, Physiological Consequences of Repeated Exposures to Conditioned Fear. Behavioral Sciences, 2012. 2(2): p. 57-78. 9. Galambos, S.A., P.C. Terry, and G.M. Moyle. Incidence of injury, psychological correlates, and injury prevention strategies for elite sport. 2006. Australian Psychological Society. 10. Galambos, S., et al., Psychological predictors of injury among elite athletes. British journal of sports medicine, 2005. 39(6): p. 351-354. 11. Moyle, G.M. and P.C. Terry, Psychological predictors of injury in elite athletes. 2005. 12. McEwen, B.S., Central effects of stress hormones in health and disease: Understanding the protective and damaging effects of stress and stress mediators. European journal of pharmacology, 2008. 583(2-3): p. 174-185. 13. Schwarz, L. and W. Kindermann, β-Endorphin, adrenocorticotropic hormone, cortisol and catecholamines during aerobic and anaerobic exercise. European journal of applied physiology and occupational physiology, 1990. 61(3): p. 165-171. 14. Gow, R., et al., An assessment of cortisol analysis in hair and its clinical applications. Forensic science international, 2010. 196(1-3): p. 32-37. Very interesting, lots of great stuff on stress and how it affects training and therefore performance.